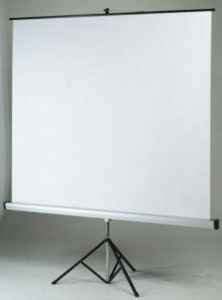 M2NET offers its customers the possibility to rent videoprojection screen. Made with fire-retardant and high reflection factor M1 certified fabric is housed in anodised aluminium housing, with superior quality. With plastic-coated handle that ensures an excellent grip.